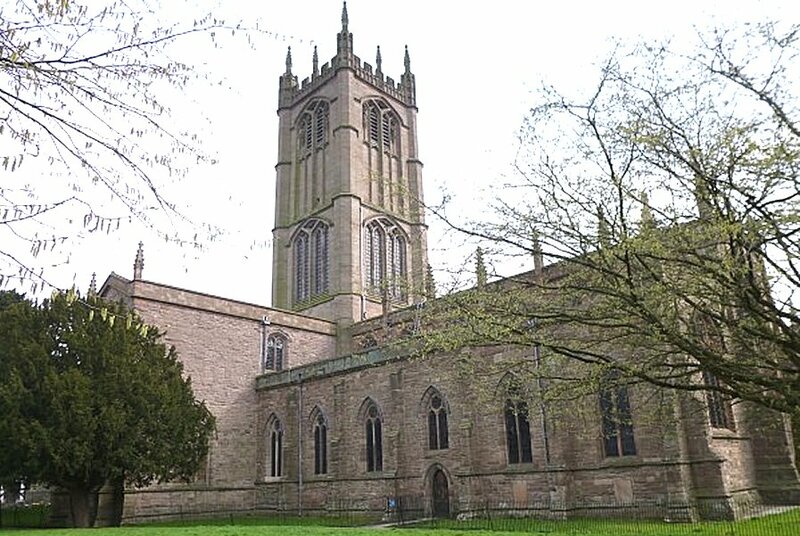 The BOA day trip to the English-Welsh border country last summer was timed to coincide with a recital at St Laurence's Ludlow by Birmingham's city organist Thomas Trotter. Once a decent interval had occurred after the recital, the resident organist Shaun Ward gave us a short talk about the instrument, following which we were able to play it ourselves. Although there are records of an organ here as early as 1472, the origin of parts of the present instrument date back to 1764 when the generosity of the Earl of Powis enabled an organ to be built by John Snetzler, a Swiss organ builder living in London. 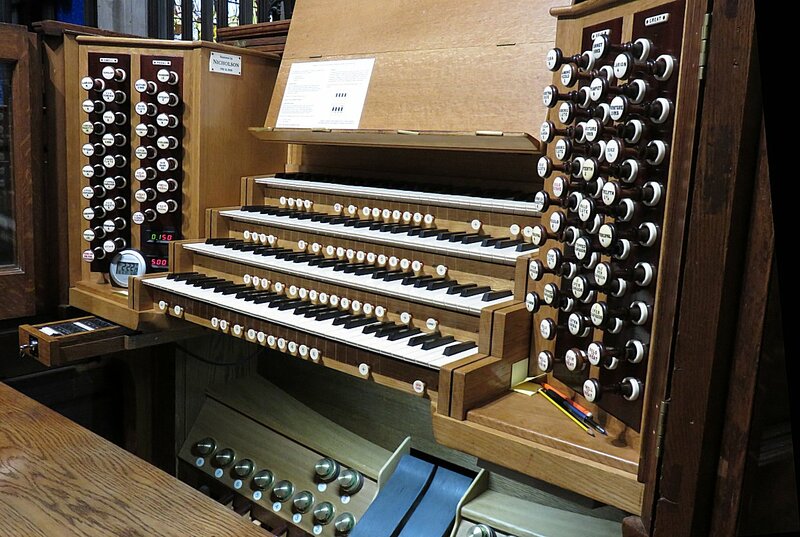 At that time, the organ had three manual divisions of 19 stops but no pedals. In 1860, Gray & Davison added both a Pedal & Solo division, with further additions to the other divisions that raised the number of stops to 36 and later (1883 & 1891) to 47. William Hill provided a new action and console in 1901, after which the organ passed into the care of J W Walker for most of the 20th century. The firm of Nicholson & Co has been looking about the organ since 1982 and in 2006 added a five-rank Cornet to the Great division to recreate a Snetzler stop that had been removed in the 19th century. At the same time, the organ benefited from cleaning and other improvements as a result of a Heritage Lottery Fund grant. You can hear brief extracts from a Regent Records DVD of Thomas Trotter playing this organ as December 2018's Music of the Month.